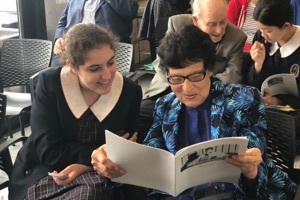 While some Arcare residents were too emotional to speak, most couldn’t stop smiling and saying that they never expected the ‘Write of Passage’ project to have such a positive effect on them. 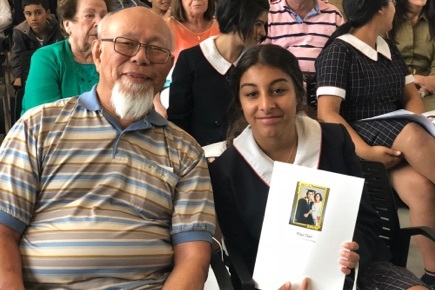 Last Grandparent’s Day, 23 students gifted their resident’s printed memoir book at two moving presentation ceremonies attended by hundreds of family and friends. 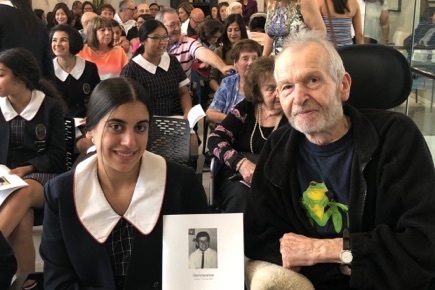 Each student and resident had an opportunity to stand in front of the crowd of their families and speak about how the project had affected them. 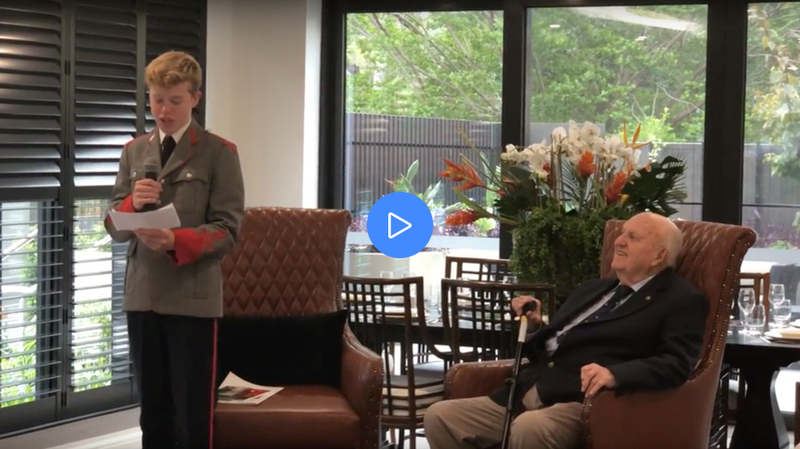 It was a roller coaster ride of emotions as students spoke about learning valuable life lessons and resilience skills and residents said how interesting it was finding out about school and life for young people now. Many people approached me after the presentation to say that this project had changed their child’s life or their parent’s life. I was so grateful that my mission of having young and old come together to help each other feel valuable and document the results for the wider community to enjoy was finally being confirmed.